In May of this year, the Food and Drug Administration (FDA) made public that they were delaying their own regulations in deference to manufacturers’ concerns that sunscreen would be available for summer; without concern for public safety. The FDA did set forth new and more stringent guidelines on labeling sunscreen products. Manufacturers complained, however, that these new rules would impede their ability to make sure there would not be a shortage on sunscreen for 2012. Ahmed complained that altering labels on thousands of sunscreen products “is a huge undertaking”. While the FDA has agreed to allow corporations more than ample time to comply, Ahmed warns that these new guidelines would be the direct cause if there were shortages of sunscreen available to consumers this summer. The PCPC lobbied the FDA for more time on behalf of the sunscreen corporations. Erica Jefferson, an FDA spokesperson, said that the agency caved to the pressure and extended their compliance deadline to December 2012. Small corporations have an even bigger break; they do not have to comply with the FDA until December of 2013. According to the FDA, ultraviolet A rays cause cancer. 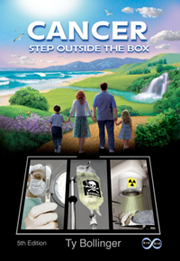 UVB radiation is primarily accepted as the cause of cancer in mainstream medicine. Most of the sunscreen available on the consumer market only protects against ultraviolet B radiation. New labeling guidelines from the FDA require the product protect against both A and B ultraviolet rays. This would be called broad-spectrum coverage. Labels are set to include FDA authorized declarations about which products protect only against sunburn and which claim to help prevent skin cancer. Many chemical ingredients found in sunscreen are prohibited by the FDA. Benzophenone-3 (BZ3) or Oxybenzone is very hazardous, according to the Centers for Disease Control and Prevention (CDC). BZ3 is on the list of Registry of Toxic Effects of Chemical Substances (RTECS) because the chemical can be absorbed through the skin and causes endocrine disruption . BZ3 is found in sunscreen moisturizer, lip balm and children’s sunscreen. Synthetic versions of BZ3 are a direct causation of leucocytosis, anemia, and can reduce organ weight and both chronic/sub-chronic oral toxicity. Benzophenone-2 (BZ2) is a cancer-causing agent used as a fragrance in sunscreen, according to the European Commission in Endocrine Disruption (ECED). BZ2 is not approved by the FDA for use in the US because it is linked to hormonal disruption in humans and animals. High doses cause immunomodulatory effects, which worsens with higher frequency use. The RTECS also classifies BZ2 as a mutagenic toxic substance. Para-Aminoabenzoic Acid (PABA) is a known carcinogen. Sunscreen manufacturers claim to only be using PABA’s derivatives. The FDA has approved PABA to be used in “limited use”. The RTECS is concerned about PABA’s effects on humans, although there are not sufficient studies to date to corroborate their apprehensions because the chemical is synthetic. Octyl Methoxycinnamate (OM) is the most prevalent ingredient in sunscreen and is a human endocrine disruptor, according to the ECED. In Japan, their Standards for Cosmetics have banned its use. OM causes cell mutations, liver, photoallergic effects, liver effects and wildlife and environmental toxicity. Dangerous exposure to toxic ingredients depends on the consumer’s frequency of use. Coinciding with increased sales of sunscreen are the rates of skin cancer. Caution should be used to avoid over exposure, but as an increasing number of people show vitamin D deficiency, it may be that the pendulum has swung too far the other way. Recently, synthetic vitamin D supplements in the form of pills have been promoted. Exposure to the sun and sunlight on a regular basis promotes the natural manufacture of Vitamin D within the body, without the need or use of synthetic vitamin D.
Be the first to comment on "Cancer Causing Ingredients in Sunscreen Omitted in FDA Labeling Guidelines"